It was an honor to host the college’s annual Scholarship Banquet on Nov. 3 at the Inn at Virginia Tech. More than 80 scholarship donors attended and had the opportunity to meet their scholarship recipients. Family members and special guests, along with some college faculty and staff members, were also there to congratulate the students and thank the donors who so generously support our students and programs. Zachary Horton (class of ’16, agricultural and applied economics) and Bette Brand (class of ’82 and ’90), the chief sales officer/external affairs at Farm Credit of Virginias spoke and inspired the audience of more than 295 guests. Students and donors participated in our social media event by writing on placards what giving and receiving scholarships meant to them. Log on to see the posts on our Facebook page. We are especially thankful for the investment from our alumni and friends to provide students with meaningful educational opportunities and valuable learning experiences. The theme of the evening was giving thanks and as such the meal was a traditional thanksgiving dinner and the table decorations were floral cornucopias from the Department of Horticulture’s floral design class. Our annual new faculty orientation was held on Sept. 28. It was an opportunity for new faculty members to learn about the college and the resources available as they establish their programs. This day-long program was planned and coordinated by Susan Sumner, associate dean and director of academic programs, in collaboration with the CALS Faculty Association. Many thanks to those who participated and made presentations in this year’s program. More information about our talented new faculty can be found here. Congratulations to Megan Seibel, director of the VALOR program, who was recently named Virginia’s assistant secretary of agriculture and forestry. For the past six years, Megan has worked with numerous individuals in the industry and in government agencies in her role as the director of the VALOR program. We look forward to working with Megan in her new role and wish her the best. 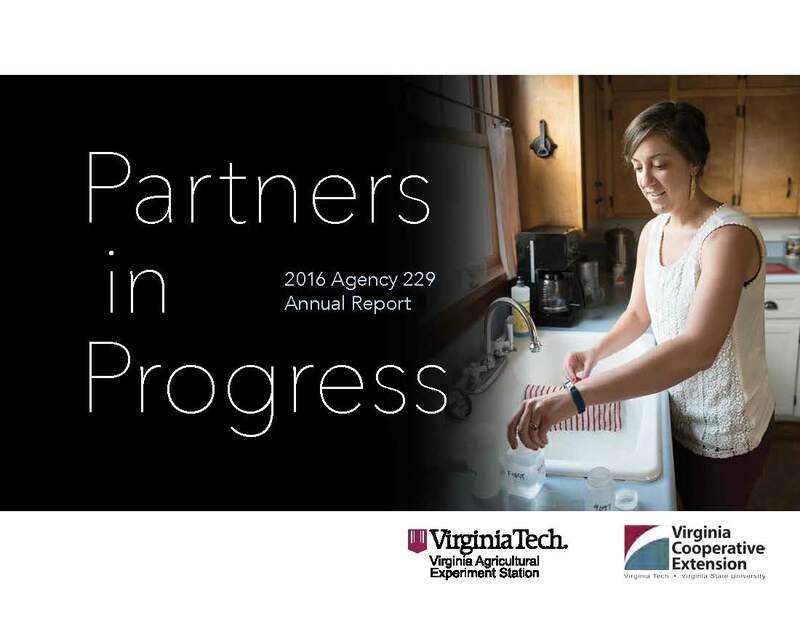 If you haven’t had the opportunity to read the new Agency 229 Annual Report, it is now available online or can be downloaded as a PDF. Read how Agency 229 is making a positive impact in across the commonwealth and beyond. The annual Commonwealth of Virginia campaign is in progress and your donation can work to help local families in many different ways. Last year’s donations reached an all-time high; 1,581 employees raised $319,664. CALS and the Virginia Tech community can make a difference. Best wishes to everyone for a wonderful Thanksgiving season. Thanks for all you do to make CALS great!